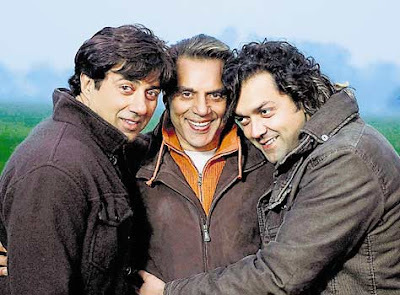 Bollywood stumped and stunned at Sanjay Dutt's verdict! 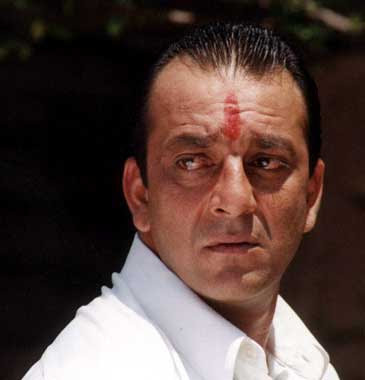 Entire Bollywood is absolutely stumped and stunned at the verdict given by the TADA court in the case of Sanjay Dutt! Everybody had expected him to get a probation today, in court. All his close freinds and family were very optimistic today morning when they were interviewed, and they all said that they expected him to go scot free! They all felt that he had served enough of a sentence the last time he was in prison, for the same offence, and that he had suffered a lot through the last 14 years and deserved to be free at last of all tensions!Unfortunately, the judge who presided his case did not believe so! He said that Sanjay Dutt should have sought legal protection for his family if he wanted it and not the illegal way. That his actions were dangerous, and he was mature enough at that time to know exactly what he was doing!Sanjay Dutt, himself seemed unprepared for this verdict, it seemed, as he was heard saying to media persons that he had expected to get a probation and that had not come prepared to go to prison! That was the reason he asked for time, from the Judge, so he could speak to his family members, his daughter, in particular and requested time to surrender! But the Judge denied him time and also cancelled his bail bonds. He is to be taken straight to prison after the court is adjouned!His family and close freinds refrained from giving any comments to the media and appeared truly stunned with the turn of events against Sanjay Dutt! After Aishwarya did us proud by being voted as the 9th most beautiful woman in the world, it was ShahRukh Khan's turn. He is the first Bollywood actor to have a statue at the French Graven Museum. A statue of the actor is set to be installed at the museum soon. SRK admitted that he felt honoured. He is already cast in wax and standing at Madame Tussauds in London alongwith other Bollywood actors like Amitabh and Aishwarya Rai Bachchan. The French Graven Museum has statues of Salman Rushdie and writer and social activist Mahashweta Devi. And among his other recent honours is the Officier dans l'Ordre des Arts et des Lettres (Officer of the Order of Arts and Letters) by the French government for his prolific career and his contribution to the development of Indo-French cooperation in the field of cinema . Now that we are on the topic of the Bollywood Badshah ShahRukh Khan, have you seen his latest look? He has a drastic change in his style, after his body building and his new hairdo! He is much more leaner and according to the news reports, looks sexier than ever! Well, personally I preferred his old look. I don't really like this new hairdo at all! Hope he cuts his hair soon. But, like I said, that's my personal opinion! Check out his new look. Actor Anil Kapoor is unfazed about the controversies surrounding his first independent production Gandhi My Father, which is based on the troubled relationship between Mahatma Gandhi and his rebellious son Harilal who later converted to Islam. Anil Kapoor's first independent film production, Gandhi my Father, releases on August 3. Aishwarya 9th Beautiful Woman ! Aishwarya Rai has done us proud yet again. She was given the ninth position in a poll of the 100 most beautiful women of today in the July issue of ‘Harpers and Queen’. She has amazingly beaten Scarlett Johanson, singer Beyonce Knowles and supermodel Gisele Bundchen to acquire this position! Topping the list is Hollywood beauty Angelina Jolie followed by model Christy Turlingron, Queen Rania of Jordon, Director Sofia Copolla and celebrity Chef Nigella Lawson. This is what the proud husband said later, “I have the best wife in the world.” Can we refute that? Bollywood actress and model Katrina Kaif is swinging high these days. Everybody seems to be envying her lately, and not just for her pretty face, she has a lot of projects in her kitty apparently! After her much appreciated role in Namastey London and Apne, she is looking forward to many more such professional roles, which would bring out her real acting talents! she is working hard on improving her hindi and also to rub away that "accent" that she had. As for the rumours that Salman Khan has a lot to do with her getting good meaty roles, she denies it completely. She is reported to have said that Salman had nothing to do with it. Well, she definitely is riding high, at least for now! Is Lara Dutta seeing an Italian man? Is John Abraham the Prince of Persia? “Khan” brought SRK and Kajol back again ! Bipasha Basu Caught Kissing Ronaldo! Well, After the whole "Shilpa Shetty-Richard Gere" incident, one would think that it would be a lesson to the others as to what happens when you dare to kiss an Indian girl! well, not just any Indian girl, but the really Hot ones. Now its Cristiano Ronaldo who's in the "Bong Connection". No, he is not starring in the movie. He was caught cosing up to Bipasha Basu at the Lisbon ceremonial party. Bipasha must have been really drunk to do something like that! Or she must like him a lot really....! Well, so are the rumors of the split between Bips and John Abraham true after all! Looks like it! This is what Bipasha Basu said, when asked about Ronaldo, "Who was to know that I'd party with him just weeks after IIFA?! I was like a fan to begin with. But after we bonded we just became two individuals bonding as buddies over an important international event. We're pals now. If I ever have to see a football game all I've to do is ask Cristiano." This topic now brings me to wonder about this "national" obssession for "Kisses"! To begin with Emraan Hashmi as the official "Kisser" on screen, to shilpa Shetty Kiss with Richard Gere, Aishwarya and Hrithik Roshan Kissing in Dhoom 2, and now Bipasha kissing ronaldo! Can't we just leave them all alone, for a moment in privacy! God, what's wrong in a little kiss? Just about everybody, who's who seems to be doing it to somebody else, So What?!!! watch this video of Rakhi Sawant. BINDAAS BOL. Latest bollywood celebrities hot Gossip and Gupshup ! Mulgis meet in Milano for an Italian rendezvous! Dharmendra and Hema Malini on screen as a couple after 24 years. Beginning of the end for Ash! Bipasha reaches Lisbon without her wardrobe! Bipasha Basu has reached Lisbon, Portugal, to host the new Seven Wonder's of the world show alongwith renowned celebrities like Sir Ben Kingsley, Jennifer Lopez, and Oscar winner Hillary Swank. Unfortunately for her, she had to take a flight from London to Lisbon without her luggage, as there was a slight delay in the arrival of the luggage while waiting for the connecting flight! The luggage is scheduled to arrive today, making it 48 hrs without her wardrobe and just 24 hrs away from the main event! But, notwithstanding, Bips is still very excited as she enthuses about her great grand moment. She requests all of us to uphold India's pride by voting for the Taj Mahal to be included in the Seven wonders of the World! SRK to Revive Indian Hockey! There is hope among the former stars of this sport, that the Bollywood badshah might revive the national sport with his new film - Chak de. Shah Rukh Khan plays the role of a woman's team coach in this film. Former hockey players beleive the Bollywood Badshah might just score for the national sport.Hockey lags far behind the other sports like cricket, football and even tennis in the Indian popularity stakes. Our nation has been surviving on cricket for the last century (feels like) and we all were given a big blow when we got out in the first round of the much awaited "world cup" matches! After this dismal performance, I think its time that India took stock of its other sports and tried to revive the interest of the public in them too. This film will definitely be a step in that direction and I hope it makes its mark by making the right people sit up and take notice and probably start something productive towards this end. Our sportsmen are making their mark internationally in other disciplines, but the national sport is languishing. So there is all round appreciation that Bollywood has decided to do something about it. SRK and Chak De India might just be the shot in the arm that hockey so desperately needs, feel sports people who also follow films. It might encourage youth to take up hockey again. This one comes straight from Dharmendra's heart. You can see his earnestness shine through as he desperately tries to raise a toast for the karmayoddhas of yore. This trend is currently the flavour of Hollywood too, with Sylvestor Stallone re-living his Rocky razzmatazz once more and Bruce Willis reiterating his Die Hard determination to save the world in a stubble and a singlet. The Bangkok International Film Festival starting on July 19 is set to showcase some of the best works of Bollywood star Hema Malini. As expected, Hema is upbeat. Last year it was impossible for Amitabh Bachchan to obtain a print of Sholay and some of his other films for a retrospective in the US. Keeping that in mind, the actress has decided to take personal interest in getting the prints organised for the Bangkok festival.